Like Christ United Methodist Church on Facebook! 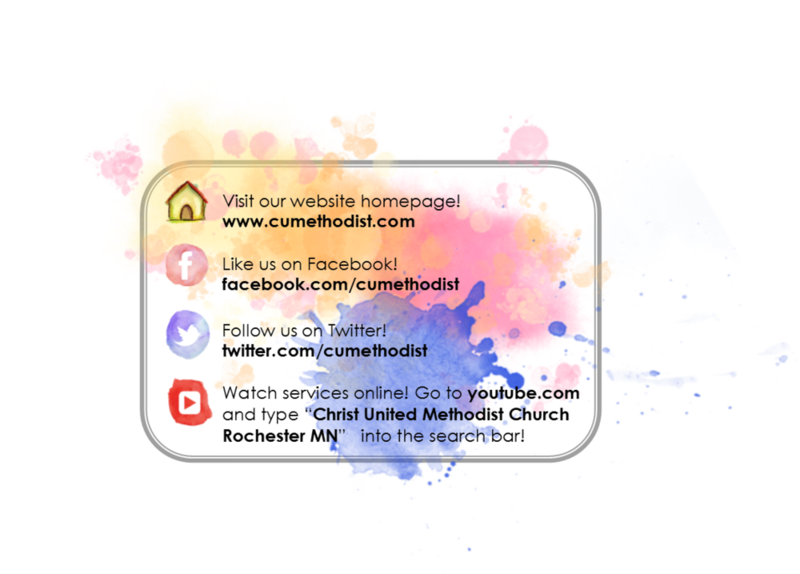 Follow Christ United Methodist Church on Twitter! Read a Blog written by Rev. Elizabeth Macaulay! Watch Christ United Methodist Church on YouTube!